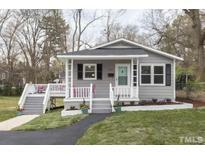 Below you can view all the homes for sale in the Lockwood subdivision located in Raleigh North Carolina. Listings in Lockwood are updated daily from data we receive from the Raleigh multiple listing service. To learn more about any of these homes or to receive custom notifications when a new property is listed for sale in Lockwood, give us a call at 919-928-5027. Minutes from downtown Raleigh, Crabtree Creek Greenway, Alamo Draft House. MLS#2247781. 297. This is move in ready & waiting! MLS#2246484. 1502. The deck over looks creek and woods. The basement has tremendous upside. MLS#2245165. 584. Beautifully landscaped & freshly painted deck & asphalt driveway has new seal coat. MLS#2244465. 5026. THIRD acre, fenced! HERE TODAY, GONE TOMORROW! MLS#2235719. 5026. Enjoy the fenced back yard from the large deck. MLS#2228265. 1752. Showings start 2PM on Sun. 1/20. 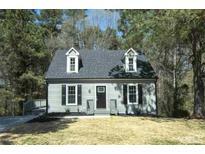 MLS#2232769. 469. Don't miss out, you could be home for the holidays! MLS#2223008. 2611.